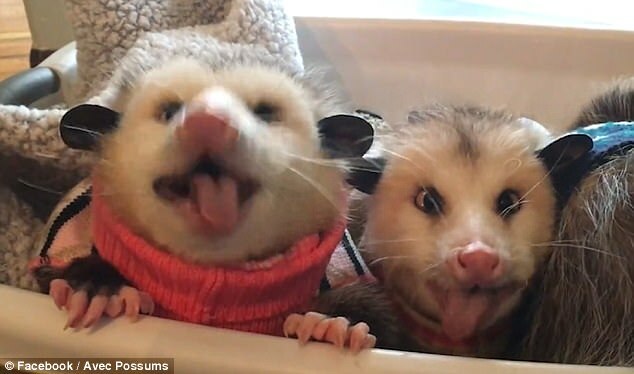 This is the moment three possums make an incredibly adorable sound while chewing on some berries in a laundry basket. According to the page, the possums were rescued on April 19, 2016 and are not pets, rather 'educational animals'. Possums spend the first four months of their lives in their mother's pouch. By the time they are six months old, the young possums live outside the pouch. The first possums were brought to New Zealand in 1837 from Australia. In New Zealand, possums have no natural enemies, so possum numbers increased quickly. 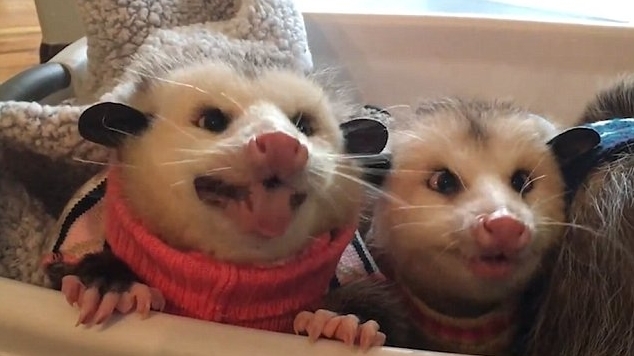 Responses to "Adorable rescue possum buddies enjoy noisily munching on berries"